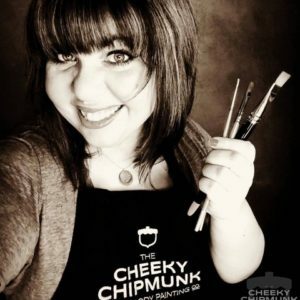 Lenore Koppelman, also known as “The Cheeky Chipmunk”, is a face and body painter located in NYC. 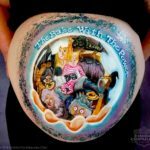 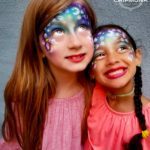 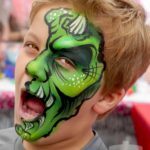 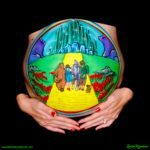 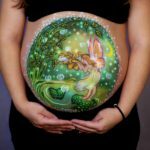 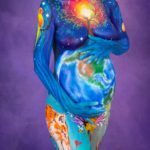 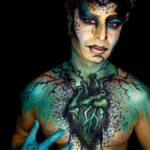 Lenore has made a name for herself with her intensely colorful designs, creative baby belly paintings, and body art. 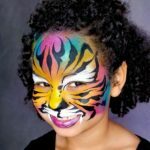 You may have seen her work at The Macy’s 4th of July Fireworks Spectacular on NBC, various concert events at Brooklyn Bowl, countless pet adoption events for The Mayor’s Alliance of NYC Animals all over the city, on the front cover of LIC Magazine and The Queens Courier, The Village Voice, The Huffington Post, SkinMarkZ Magazine, Broadway.com, FABA TV (Face & Body Art Television), the popular horror/comedy webseries “You Only Die Once”, doing live belly painting broadcasts for Fit Pregnancy.com, Parents.com, Parenting.com, and so much more. 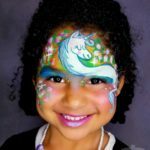 You can find Lenore painting faces and bodies all over NYC, as well as giving creative business advice on FABA TV and her Cheeky Chipmunk channel on YouTube.com. 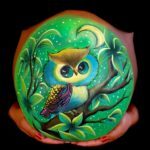 A New Orleans native, she now resides with her husband Steve and their son Ralph in Astoria Queens. 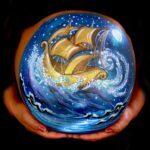 (You can check out her work at www.thecheekychipmunk.com).